Enrique: "Great love doesn't necessarily mean the right love..."
Liza Soberano and Enrique Gil have finally explained the meaning behind their upcoming film "Alone/Together's" elusive title. The love team sat down for a meet-up with the press today, January 30, alongside director Antoinette Jadaone and unpacked the mystery for all of us. Enrique explained, "Actually, it's very sad. I think a lot of people in this world feel alone even when they're with their loved ones. Ibig sabihin, they're not happy with their lives. They feel alone even when their great love is there." He pressed, "Minsan kasi, 'yung great love it doesn't necessarily mean the right love. Hindi naman lahat ng great love, matutuloy." Liza had a similar take on it, saying, "Magkasama kaming nag-iisa. We're alone but we're together, sharing that loneliness." So alam na, ha? This is going to be heartbreaking. 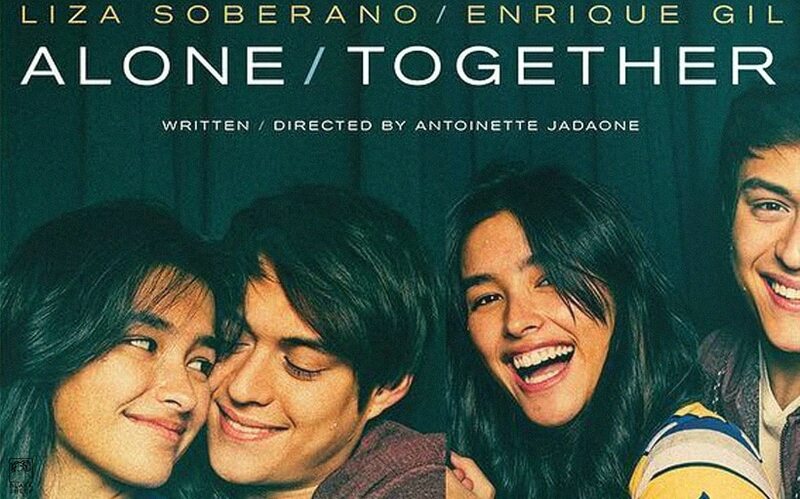 The official title for "Alone/Together" was announced by Direk Tonet on Instagram back on January 7. It was previously referred to as “Spoliarium." COMPILED: LizQuen's sweetest IG posts for each other! Liza Soberano won the sinigang challenge with eyes closed!